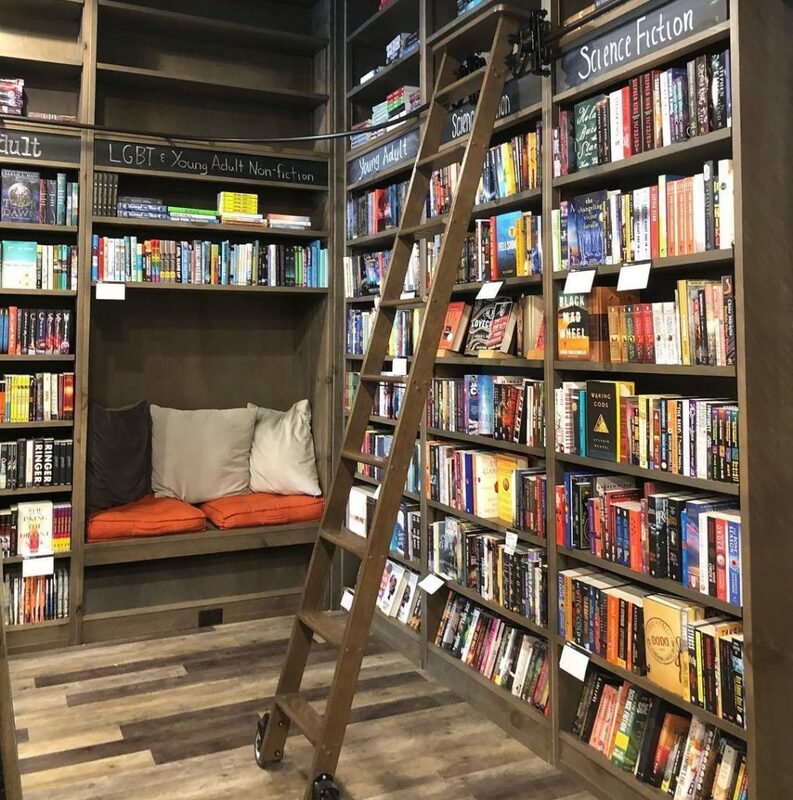 You don’t have to be a total bookworm or self-proclaimed book nerd to enjoy the many unique features and fun quirks of Kalamazoo’s book stores! The spots on this list offer everything from rare books, coffee, resident bookstore cats, insanely cheap prices, novelty and more. Happy #nationalbookloversday 📚 where's your favorite spot in Kalamazoo to curl up with a good book? #Repost @mustafalandon ・・・ The Stacks. The Kalamazoo Antique Market is located downtown and has been in business for over 25 years! This shop is a great resource for used books, magazines and comics. In fact, a lot of the antique and thrift stores in the area sell used books! Be sure to check out the entire list of vintage, thrift and antique shops in Kalamazoo with our Vintage Shopping Guide. If you love more than just reading, definitely put the Kalamazoo Book Arts Center on your to-do list! The Kalamazoo Book Arts Center was founded in 2005 by artists and writers with a passion for book arts. Their vision is now a creative public space where artists and book enthusiasts of all kinds gather to collaborate and celebrate books and the many arts that inform them: paper-making, printmaking, letterpress, creative writing, and bookbinding. Are you a big comic book fan? Check out the various comic book stores in the area! While not solely a bookstore, don’t forget to stop by Curate & Co. if you’re specifically looking for children’s books! They’re a modern gift store located downtown and have a small, but awesome collection of titles that kids will love. Lastly, Kalamazoo is lucky to be home to multiple Little Free Libraries! We know these are not exactly “stores” at all, but they’re so perfect for book lovers, and super cute too! Use this map tool to locate the closest Little Free Library near you in Kalamazoo.